Is this entry in the Hyperdimension Neptunia series worth procuring? The Hyperdimension Neptunia series is polarizing on its own, without having to resort to a spinoff that finds you grooming the all-female cast to be the best pop stars they can possibly be. That's why Hyperdimension Neptunia: Producing Perfection is such a strange prospect. Compile Heart's attempt at a Project Diva-styled rhythm game is cutesy enough in its execution, but it ends up a little tone deaf. You're charged with training the CPUs of Gamindustri to become the latest pop sensation after they begin losing their powers to pop idol MOB48. Rather than seeking out an alternate path to success, the girls arrive at the conclusion that the best way to beat out their rival is to excel in the same field. The girls decide to summon you (the player) as their producer. Producer Mode finds you naming your custom protagonist and choosing a singular CPU to raise and mold as you see fit. From there, you complete bits and pieces of training segments, as the game is set up like that of a day-to-day sim with visual novel elements peppered in. Your end goal is to take on most of the shares in the region you're operating in as well as send one of your CPU's recorded songs to number one on the charts. Day-to-day tasks include giving the girls singing lessons, rhythm training, and more, but they need to be able to relax too, so the goal is to strike a fair balance between learning and polishing up stats while waiting for cooldown periods to pass. Once you've become a bit more seasoned, you even have the option to put on concerts, during which you'll help your fledgling pop star perform. These segments are a bit dull, unfortunately, mainly because the music tracks themselves aren't truly memorable after you've completed the songs. Enhancing stage presence and playing around to see what works best for the girls is fun too, but rarely engaging. There's no real lasting appeal to speak of that you might see with, say, Project Diva F or other similar endeavors. While the game is polished enough and boasts excellent localization, it's a little hollow at its core. 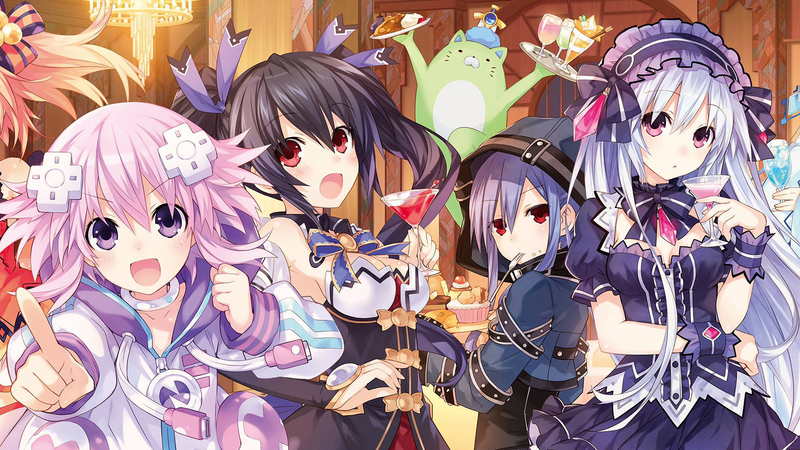 English and Japanese voice tracks are certainly a boon, and it's entertaining to see the Hyperdimension Neptunia girls in new roles, but this isn't exactly the vein most players will want to see them in. Plus, unless you want to play the same scenarios over and over, you'd get more enjoyment out of one of the meatier core games. Unfortunately, this is one instance where Compile Heart simply didn't produce perfection.